In some parts of the bush, even in the heat of summer, there is cool shade. 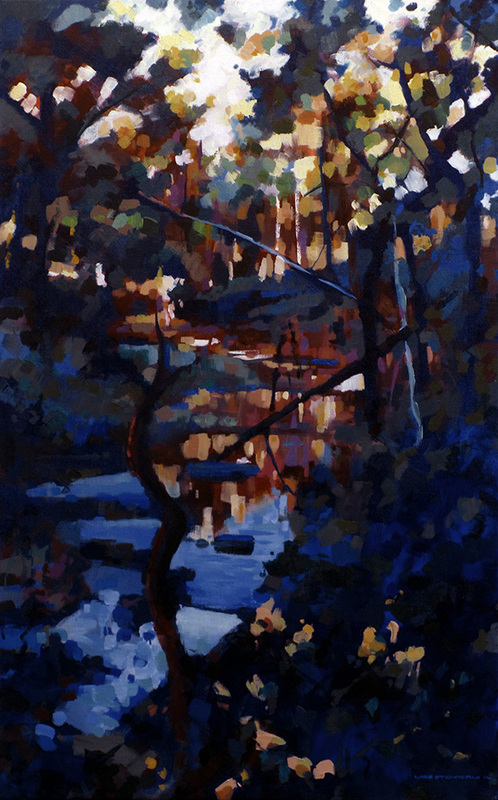 This is a painting of Wombat Creek which flows through Wombat State Forest near Daylesford. I was going all-out for a tonal study here in just burnt umber and ultramarine, but a little extra colour crept in at the last moment. The lights play off the darks in a cool, moody way for me. So nice. Thanks Laurel. The shade was a blessing that day!